Come Celebrate your Birthday w/ Us! 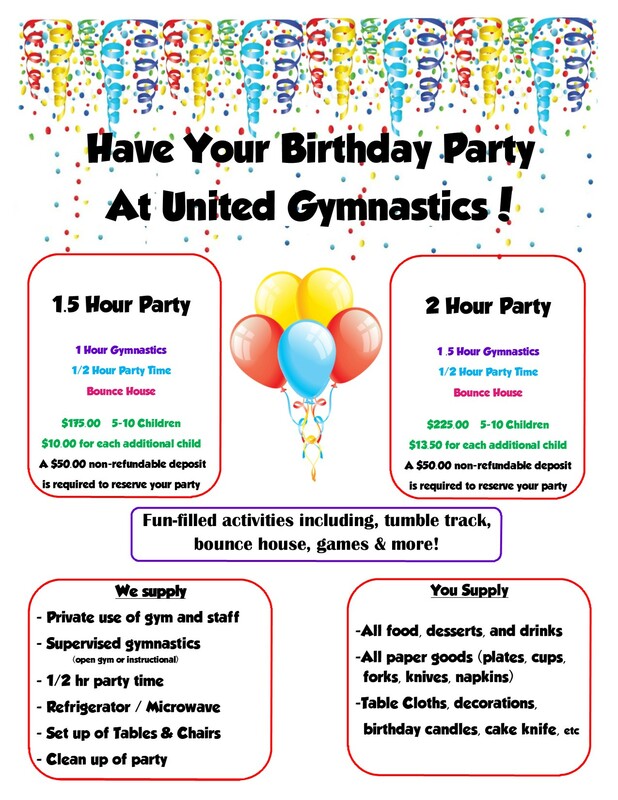 A Birthday Party at United Gymnastics is the best way to celebrate a birthday. United strives to provide a fun and exciting celebration with friends and family. Each child will have the opportunity to experience a variety of activities including all of the gymnastics events, trampoline, obstacle courses, rope, parachute, and a bounce house! Let us help you celebrate with trained instructors who create a fun birthday celebration! We require a $50.00 non-refundable deposit in order to book your Birthday Party with us. Please contact the office at (210) 764-7482 to reserve your party today!